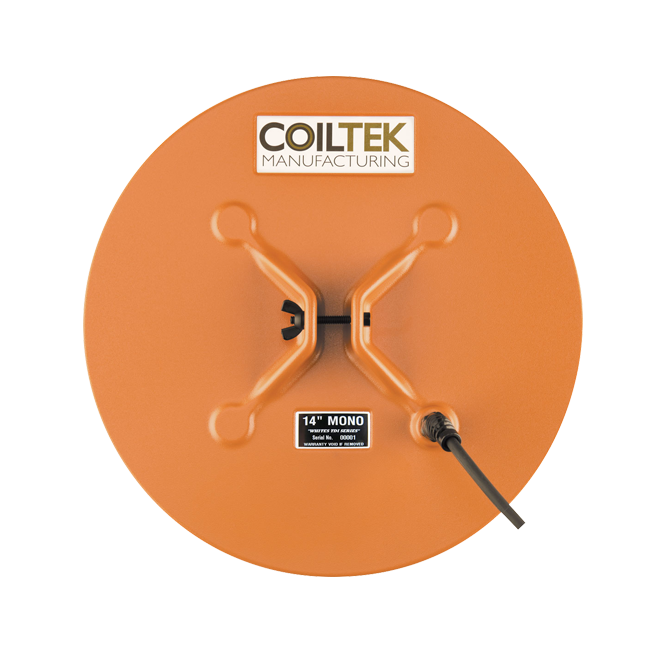 Coiltek 14" White's TDI Mono Coil Looking for a new large round coil for your White's TDI? This is it! 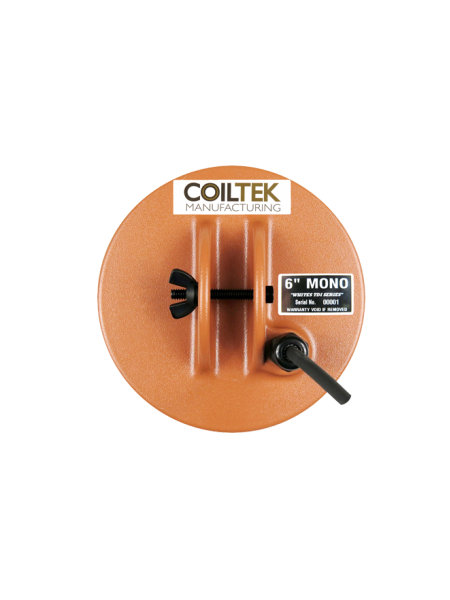 The 14" White's TDI Mono coil we are featuring on this page would most commonly used in those worked out patches where the targets are deep and beyond the reach of many detector/coil combinations. Being a large coil, you may want to use it in areas with fewer obstructions. But the size is an advantage as well - giving it an excellent coverage and depth while retaining good sensitivity to smaller targets. 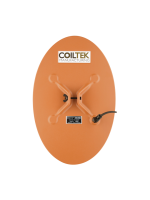 Try one and you willl see why this size coil will be perfect to help you discover those deeply hidden targets. 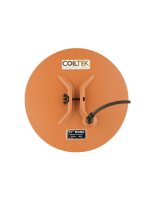 A mono coil combined with pulse induction detectors has a depth benefit over most other types of detectors. This comes in the way of heightened sensitivity to deeper targets generally out of reach of many detectors. 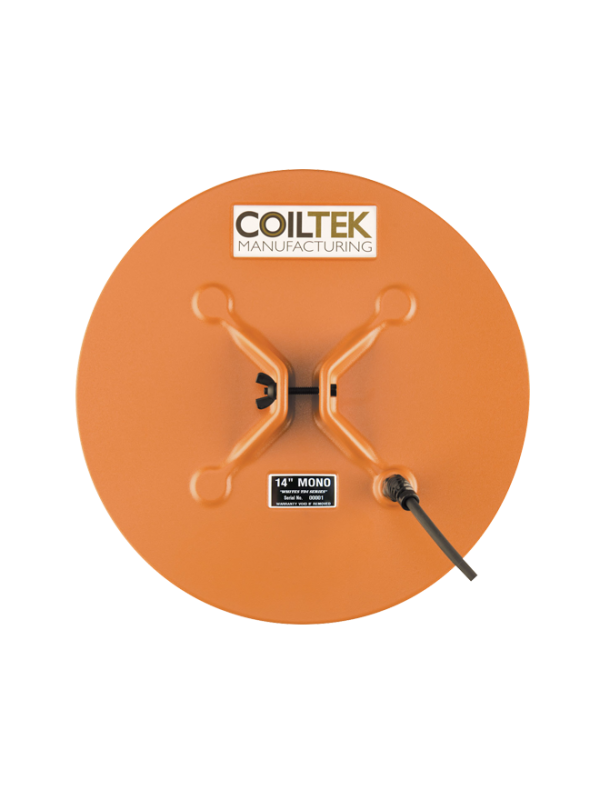 Having said that, the target response of this coil is sharp and clear so most likely the targets will be easily heard if within the range of this coil's large magnetic field. Light weight for the size of the coil. Weight: 898 / 31.6 oz.